One of the factors that seems to drive people to consider moving to a new home or undergoing a major renovating project is when the kitchen is just too small. 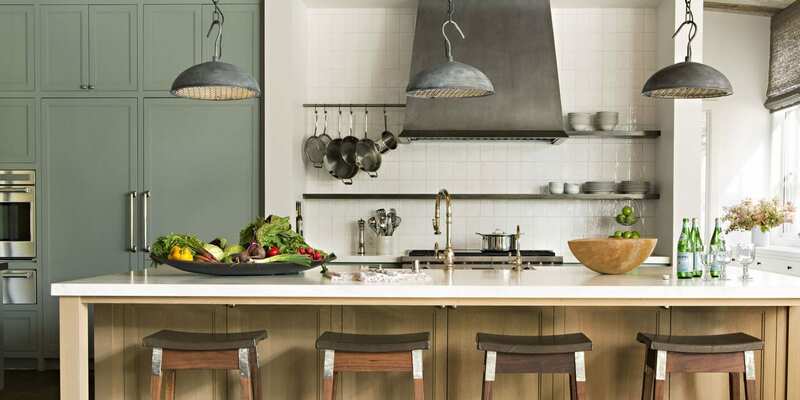 The kitchen is one of the most active and important parts of the home. 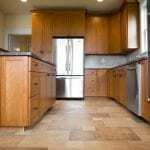 So, if it is just physically too small of a space and the confining nature of the kitchen is creating stress in the family, it is time to act to implement some renovating plans to open up the kitchen and make it a space that is more workable for the cook and everybody that depends on him or her. 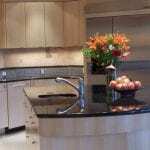 The obvious solution to a small kitchen is to turn it into a large kitchen. Of course, increasing the floor space of the kitchen is a major renovating undertaking. You must analyse the structure of the house to determine how you would relocate the walls to give more space to the kitchen. There are electrical and plumbing issues to consider. If the stove will move, that might entail relocating a gas line. Then you have the flooring to be redone once the expansion is done. While expanding the size of the kitchen is a major renovation involving significant time and money, it could improve the home so significantly that it will justify the cost. With the kitchen expanded, the house is more attractive when you put it on the market. Moreover, your family will enjoy the kitchen space more, so you may not want to move out at all now that you have a good-sized kitchen that fits the needs of the people that live in your home. If a kitchen expansion is not feasible, there are things you can do to make the most of the space you have and to make the kitchen seem more open and spacious. If you cannot go sideways, go up! If you expand the kitchen upwards by annexing attic space, you could add additional cabinets higher up in the kitchen where seldom used items are kept. 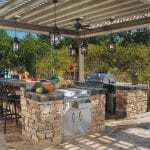 If that approach to kitchen renovating takes the kitchen air space to the roof, you can add a sunroof to allow sunlight into the kitchen, which will make the kitchen seem much more open and cheerful. Then you can look at how the kitchen is organized. 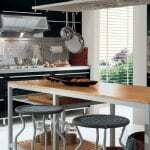 There may be a lot you can do with the space you have to make the kitchen easier to navigate and reduce clutter. 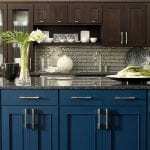 Often entire cabinets are used for cooking items that may only see action once a year. Those items can be removed to auxiliary storage space outside of the kitchen. If your pantry is inside the kitchen space, you can convert a closet near the kitchen to a pantry and then use that space for other forms of storage. You can add taller or deeper cabinets and appliances that mount under cabinets to open work space on your existing cabinets. Then by renovating the counter tops, the tiling and the wallpaper, that kitchen can open and become a spacious and cheerful space all by just using the space you already have more wisely. That is smart renovating.